Along with some Bollywood flicks, a Telugu venture has also hit the box office screen today on 12th September 2014. After many postponed dates, finally the movie Power has been released to entertain the South Indian audience. Power is an action packed film with some delicious mixture of romance and stunts mixed proportionately. 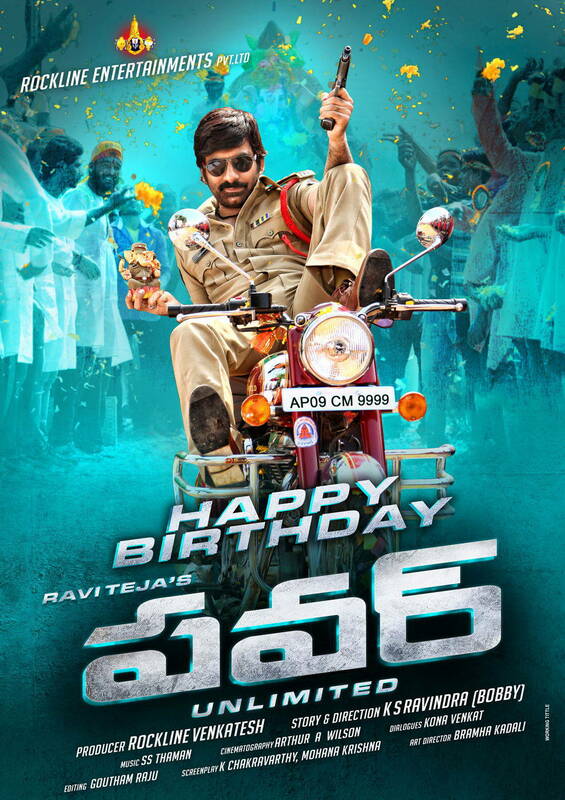 The film has released on domestic as well as international screens worldwide, starring Tollywood very famous actor Ravi Teja and it has been directed by screenplay writer K. S. Ravindra (Bobby), who has directed a film for first time. It has been produced by popular Kannada producer Rockline Venkatesh. This film is having strong star casts such as Ravi Teja, Hansika Motwani and Regina Cassandra in prominent roles while its music has been composed by S. Thaman. It is a story of a police cop who entangles between his personal and official life, but this is not just about it as big villains come into play to disturb the smooth running of his life and he took all possible measures to swipe them away. Power (Telugu) has all the spices in itself to be called watchable and this movie was being awaited by the people and finally the stage is all set to present this action drama today. Its promotion was done in great manner and as well as trailer liked by public. As a result audience loved the film today and went to watch it with their friends and families. On its opening day, Power (Telugu) made an approachable income of around 5.14 Crores which is quite good considering the budget of this film. It is just the first day of release, so there are many more chances for Power to convert the collections into huge profits. It is interesting to see the first weekend report of Power (Telugu) so stay connected with us for the same.